The disgraced politician fell victim to a Maoist-style “rectification campaign”—just like the one he had championed in office. When President Xi Jinping was preparing the ground for the trial and conviction of his princeling rival, Bo Xilai, sentenced to life in prison yesterday, he called China’s entire leadership together to launch a “rectification campaign.” Xi promised to save degenerate cadres and the Party itself by “vigorously” mobilizing the political machinery in a process of criticism, self-criticism and self-purification. He dubbed it the “Party Mass Line Education and Practice Movement,” to be overseen by a specially-convened small leadership group of the same name. The aim was to “cure the illness and save the patient,” said Xi, adding that the “life and death” of the Party was at stake. The language, aims and structure of Xi’s ongoing rectification campaign are directly borrowed from Chairman Mao Zedong’s efforts to instill discipline and consolidate personal power at Yan’an, then the Communist Party base, in the early 1940s. Mao’s success hinged on having tight personal control of the internal security and propaganda apparatus, giving him the capacity to create an atmosphere of fear and panic and forcefully extract confessions. He used “special case groups” to root out and intimidate the patronage networks of perceived rivals until his power was unchallengeable. These, ironically, were the techniques that Bo Xilai revived to transform the Communist Party in Chongqing and build a formidable personal power base there, striking terror inside the Party in ways that are still not widely understood. Now, Xi is applying the same underlying political logic to revitalize and impose his will over the world’s largest and most powerful political party, with some important innovations. And he is doing it by purging Bo. It is easy to forget, amid the sordid hypocrisy exposed by his fall, that Bo Xilai was a pragmatic leader: He had identified a problem and wanted to get things done. Bo’s ascendance occurred at a time when it was getting harder to restrain the predatory instincts of the bureaucracy and harder still to explain why the Chinese Communist Party, of all political movements, had created one of the least egalitarian societies in Asia. In Bo’s judgment, desperate times demanded desperate measures. He offered himself as the surgeon to remove the Party’s cancerous tumors and fetid organs. “Without help, the disease will become fatal,” he said in December 2009, borrowing the metaphors of bodily disease that Mao used to commence his own rectification campaign in 1942. Bo mapped the city’s channels of patronage and nodes of political and financial power, planted key people, and uprooted the existing networks of propaganda and coercion which he did not personally control. His key target was the old Chongqing police chief, Wen Qiang, who, like most established police chiefs in China, enjoyed power well beyond his official portfolio. Wen’s patrons included one of Bo’s powerful predecessors, who had been promoted to the Politburo Standing Committee, and his protégés were stacked throughout the municipal political-legal establishment. Wen controlled many of the city’s bathhouses, for example, where business was often done. In other words, at the time of Bo’s arrival Chongqing was an ordinary mainland city where a new leader lacking deep local patronage ties had little hope of getting anything done—unless he found a way to purge the old regime and make it his own. Bo’s first major political move was to appoint his own man, Wang Lijun, to act as his scalpel in the rectification operation. Right away, he appointed Wang as Wen Qiang’s deputy police chief, providing Wang with an opportunity to collect intelligence and map Wen’s patronage ties. In March 2009, Bo shifted Wen Qiang sideways, appointing him Minister of Justice, while promoting Wang Lijun to take his place. Wang got to work. He arrested Wen’s key police department deputies and protégés, one of whom reportedly died of a heart attack in custody. Another reportedly died by smashing his head against a wall. Wen’s sister-in-law, entwined in Chongqing’s organized crime, was dubbed the “Godmother of the Underworld” and sentenced to 18 years in prison. Wen’s wife was shown pictures of her husband with an underage prostitute—after which she reportedly led police to the family millions, buried under a goldfish pond. Bo and his scalpel, Wang Lijun, also sliced through the city’s commercial precincts. Police were given quotas of “black society” members to detain in each district, just like the “bad class elements” in Chairman Mao’s day. Alleged gangsters testified against wealthy entrepreneurs who, in turn, were testifying against higher political targets. “Basically, the 20 richest guys in Chongqing, [Bo] sent them all to jail and confiscated all their assets,” said Wang Boming, publisher of Caijing Magazine, in an interview. The system of justice, based mostly on lies extracted by torture, proved to be a phenomenally powerful tool for political control. Within Chongqing, Bo became popular for articulating social concerns and cleaning up the streets. Nationally, he became the hero of China’s growing neo-Maoist and New Left movements. Ambitious scholars, entrepreneurs, officials, generals and international statesmen were drawn into his orbit. By the new year of 2012, he seemed to be on the cusp of breaking into the top leadership sanctum: the Standing Committee of the Politburo, China’s top governing body. It could have been Mao at Yan’an, the Shaanxi city where the Communists had retreated after the Long March, 75 years before. Almost a half-century later, Bo applied the Maoist strategies of purge and rectification, operating beneath the barest of judicial facades. But by then, China had changed in ways that meant the old torture-based confession methods didn’t work as well anymore. Bo’s methods were so brutal and out of touch with the values of China’s increasingly sophisticated and pluralistic society, that they galvanized lawyers, editors, historians and other intellectuals to fight to protect their interests and restrain him. The only weapon they had was the truth, in and outside the courtroom, and the patience to let events take their course—an approach whose ultimate success relied on China’s information revolution and an increasingly engaged public—a public unwilling to return to the methods of the Cultural Revolution. Eventually, the pressure forced open cracks in the political elite. Bo’s courtroom persecutions of his rivals were so perverse and so public—despite his prodigious propaganda efforts—that enemies sharpened their hatchets and allies found it harder to defend him. Indirectly, as I argue in my book The Rise and Fall of the House of Bo, this is what brought Bo crashing down. By the time of publication, Bo Xilai is likely to have been convicted of misdeeds that are marginal to the political reasons that brought his downfall, an event that followed the interrogation of dozens of associates, with each detainee testifying against the one above. But the national crisis of injustice and inequality that Bo articulated has only become more pressing. Immediately before Bo’s trial, the Xi administration announced the promotion of a new deputy police chief, Fu Zhenghua, whose bold assaults on power had once earned him comparisons with Bo’s old police chief, Wang Lijun. Fu quickly made news with high profile arrests of alleged rumor-mongers on the Internet. Straight after Bo’s trial, the South China Morning Post and The New York Times reported previously-suppressed court evidence that linked Bo’s abuse of power to Zhou Yongkang, China’s bulldog-headed former security czar. The news was followed by the detention of the recently-removed chief and remaining top executives at PetroChina, arguably the most powerful of all Chinese state-owned companies. Most tantalizing, the SCMP reported a link between Bo’s corruption and the former Chinese president who refuses to actually retire: Jiang Zemin. Xi’s current strategy of manipulating the coercive apparatus to purge enemies and use their confessions to taint and intimidate rivals isn’t new in China: It comes directly from Bo’s Chongqing and Mao’s Yan’an. Xi’s propaganda apparatus is brandishing “swords” to enforce discipline across the contested spaces of the Internet, and his security apparatus has renewed the previous administration’s attack on lawyers and constitutionalism. The president’s personal willingness to extend the Bo investigation to the doorstep of some of the most powerful patrons in the country shows that the winner-takes-all logic remains firmly in place. For all Xi’s talk of voluntary self-correction—“seeing oneself in the mirror, correcting hats and clothes”—his program hinges on the credibility of his promise to “investigate and prosecute” cadres who cannot be saved. 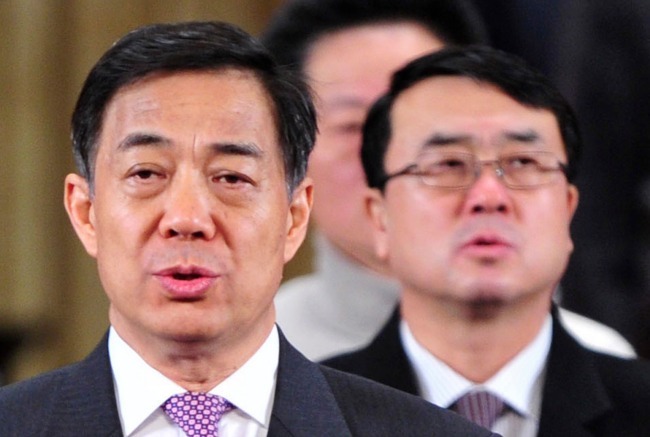 For Xi, the case of Bo Xilai is a weapon which is central to his political project. Even still, the fact that Bo was given probably the most transparent trial in the history of the People’s Republic shows the rules are continuing to evolve. Bo’s revolutionary prestige, his clan’s ties with other ruling families, and his cult-like status among neo-Maoist sections of the Party encouraged (or possibly forced) President Xi to afford him the dignity of contesting the accusations in a relatively open fashion. The rise of Bo Xilai showed that extreme measures are often necessary to get anything done in an aging one-party system. His demise, however, shows that Maoist political methods don’t sit easily with a modern economy, an increasingly fragmented political elite, and a society that is empowered by prosperity and informed by new networks of information. Several of Xi’s supporters within the elite say it is too early to rule out the possibility that the president wants to leave China with something closer to a credible legal system than the one he inherited. Many say he is blasting a path through webs of patronage and a hopelessly self-interested political-bureaucracy to enable urgent economic reforms. But whatever Xi’s plans, it is ironic, and potentially dangerous, that he first has to borrow from Bo’s playbook in order to give himself a chance. A version of this article appears in the East Asia Forum. John Garnaut is the author of The Rise and Fall of the House of Bo and a former China correspondent for The Sydney Morning Herald and The Age.